Abstract—Mainstreaming approach are education for all, there are no separation between regular students and special needs students, human rights, respect everyone, and recognition of differences. Encourage appreciation and create a new culture of diversity. Therefore, it is imperative to find a way or innovation to be able to developing skills in the 21st century learning skills and social world of those with special needs equally to others. This article aims to present the concept of mainstreaming in the 21st century. Library 4.0 with role promoting learning for all in the 21st century. Adaptation of librarians to keep pace with digital technology to promote learning and share responsibility for providing digital information services with technology. Participating in joint learning to foster learning in the 21st century, which must find a way and how to design innovation for all learner. And it can be used with everyone in a friendly way, so that students with special needs can be self-reliant and learned together with the normal students side by side. Library service provision is appropriate for mainstreaming and learning in the 21st century. It is important to push for equal education, quality, happiness, skills needed to exist in the 21st century. Index Terms—School library roles, information services, mainstreaming, 21st century learning skills. Titiya Netwong is with Faculty of Science and Technology, Suan Dusit University, Thailand (e-mail: titiya_net@dusit.ac.th). 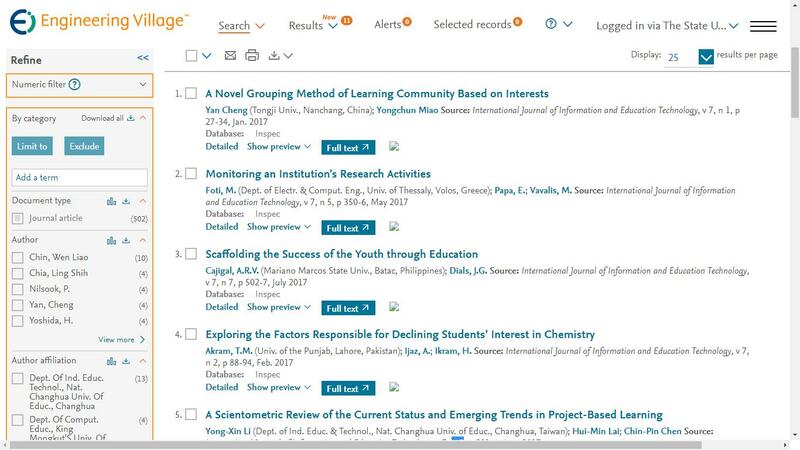 Cite: Titiya Netwong, "The School Library Roles in Information Services through Mainstreaming for Enhance 21st Century Learning Skills," International Journal of Information and Education Technology vol. 9, no. 2, pp. 154-158, 2019.